8 Threatened Parrots Festivals, Migratory Birds & the Jaguar join the community in activities that promote and make visible the ongoing efforts to protect endangered species in Colombia. About 5.000 people will show the world their commitment to save many species from extinction through the Threatened Parrots, Migratory Birds and Jaguar festivals. During these activities, which began on Oct. 31 and will go on until November 20 countless ecological workshops, territory recognition outings, social mapping, birding walks, bioliteracy, regional and national stands, characterization of wildlife, cultural events and workshops on sustainable economic alternatives, which rise from the towns and the need to strengthen actions that promote the responsible use of the environment. ProAves Foundation, during its 15 years of research and conservation, has managed to link communities in the protection of approximately 80% of endemic and threatened bird species of Colombia, through environmental education actions like the Threatened Parrots, Migratory Birds and the First Jaguar Festival in Colombia in 8 municipalities of the country. 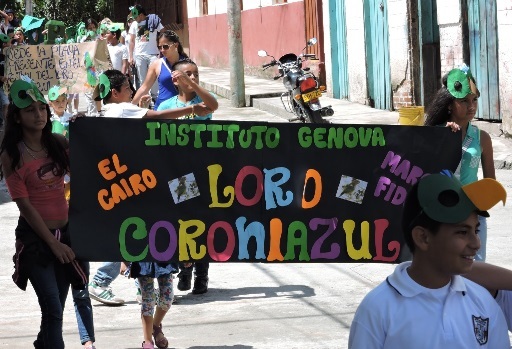 To the Migratory Birds and Threatened Parrots festivals, conducted in the municipalities of Jardín (Antioquia), Genova (Quindío), Cajamarca and Roncesvalles (Tolima), Minca (Santa Marta) and San Vicente de Chucuri (Santander), has been add this year the first Las Tangaras Festival in El Carmen de Atrato, Chocó and the first Jaguar Festival in Mapiripan, Meta. 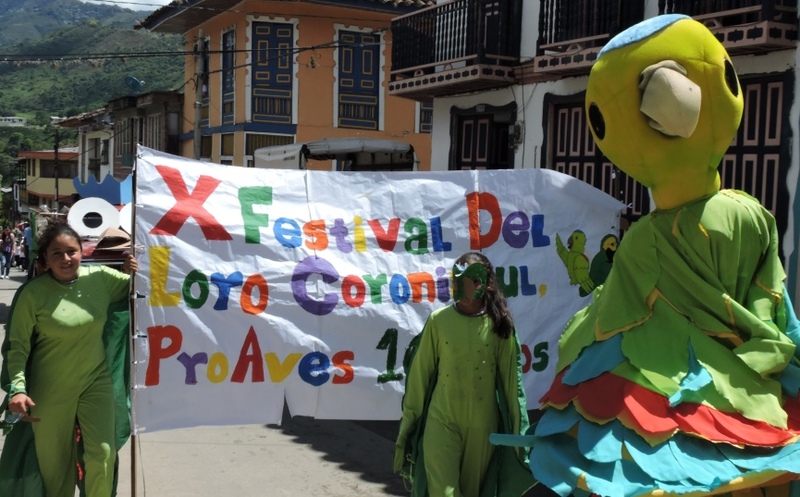 With different events ranging from parades through the main streets of the towns to artistic and cultural exhibitions, dances and concerts, where the community participates in a massive carnival of life, the importance of promoting knowledge of the ecology of the species and the urgency for the conservation of their habitats is shown. 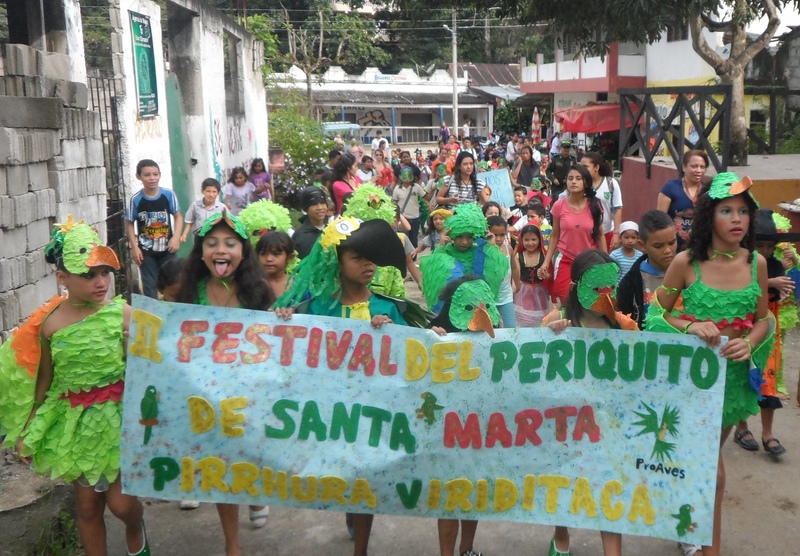 One of the most significant results in recent years is the institutionalization in the municipalities of some of these species and their parties through municipal agreements; the 2014 project for the institutionalization of the Migratory Bird Festival in the town of San Vicente de Chucuri and The Santa Marta parakeet Festival was presented in the village of Minca, Santa Marta. We hope that these Festivals continue to motivate many more people and institutions to join in our mission and prevent the extinction of bird species in Colombia.